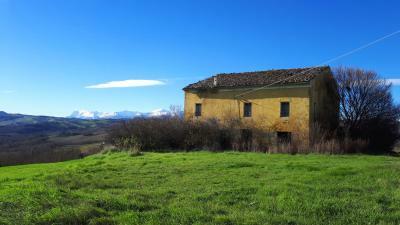 Immersed in the unspoilt countryside between the town of Monteprandone and the Adriatic Sea, an old farmhouse to be restored with five hectares of orchard and magnificent views of the Gran Sasso and Monti della Laga National Park. 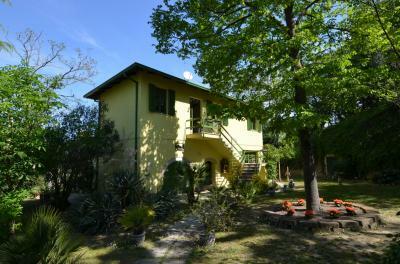 The property occupies an entire hill with a dominant southern exposure and is easily reachable from the historic center which is only 1 km away. Within the farm there are hundreds of fruit trees including: plums, apricots and peaches. All the land can also benefit from irrigation water from wells on the ground. 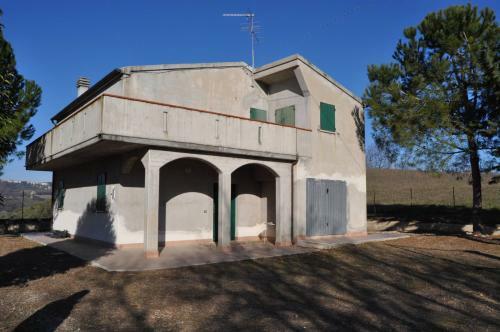 On the top of the hill is located the old farmhouse completely to restore of about 270 sqm. From this building you can admire a unique and breathtaking 360 degree panorama. Really impressive. The Gran Sasso mountains, the San Marcos Hill above the town of Ascoli Piceno and the historic center of Monteprandone are clearly visible from the property. The entire property is surrounded by olive groves and vineyards well maintained and in production that frame this wonderful location that is only 6 km from the Adriatic Sea. A great opportunity for those who would like to activate a farm or simply renovate a typical farmhouse in an unique position.